These businesses can help you arrange an Alaska fishing or Alaska hunting trip. Some will provide information and bookings at no cost to you, instead taking a commission from the trip provider. Others do not take bookings and instead provide information on a fee basis. Alaska king salmon or Dall sheep? Contact us for other exciting outdoor adventure, fishing, hunting choices. Toll Free:(877)374-4868. ATV Rentals, Adventure Tours, and Shuttle Service within South Central Alaska. Overnight trips are also available. Let Alaska All Terrain Tours show you the way out! Toll Free:(888)414-7669. Alaska vacation experts offering custom and packaged Alaska tour and travel packages throughout central Alaska including Denali National Park. Bear viewing, flight seeing, guided Denali National Park tours and more! Toll Free:(877)376-1002. Offers Alaska fishing and hunting safaris. Fly-fishing,fishing tours, lodge packages,house boats,guided and unguided hunting/fishing tours. We offer Charters Booking aboard many well equipped boats, with very experience captains, to provide the most enjoyable fishing experience for Halibut and Salmon, in Homer, Alaska. Toll Free:(877)740-8594. Alaskan Adventure Connections creates custom itineraries to meet your travel expectations. Combine fishing, lodging, tours, flightseeing, bear viewing, and more to make your trip the adventure of your dreams! Here you will find adventure tours and fishing throughout Alaska - from Ketchikan to Kodiak, and from Anchorage to the Arctic. We tailor-make itineraries for groups, independent travelers, and families. 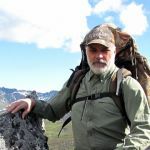 30 years guiding in Alaska. Promotional and custom videos from filming to finish -- international experience. My job is to match my clients with outfitters, for what they want to hunt and fish in Alaska, Canada and the Western States, at no charge to my clients. Halibut and salmon fishing charters, heated cabins on boats that range from 28 to 43 feet. Toll Free:(800)478-7847. Representing over fifty different outfitters to bring you the best hunting and fishing opportunities in Alaska for all species of game and fish. Personalized trip planning. Hunting and fishing lodges, wilderness adventure, hiking, trekking, rafting. Booking agent for entire state of Alaska. deer & bear hunting, fresh & saltwater fishing, lodging and cabins, bearviewing, kayaking, horsebackriding, glacier viewing and sightseeing. Toll Free:(800)478-7751. LeSea Charters is based at the port of Seward,Alaska. We provide Fishing trip for Halibut, Salmon and rockfish. Our boat the Eleu has a 5 star saftey rating with the US Coast Guard. Full service booking & reservation service and outfitting, fishing and hunting Southwest Alaska. Experience unguided King Salmon fishing along the Nushagak River in SW Alaska or a big game hunting trip. Comfortable lodging also available. Great rates. Valdez Fishing Booking Office for all Valdez Fishing Charters. We also provide B&B reservations and information on other tours and attractions.